It’s been a while since our last podcast, partly by design and partly due to travels to islands during hurricane season. (Smart move.) But regardless, we’re back with our 23rd episode! If you haven’t noticed, we want to push the conversations that we’re having about education to a higher level, and so much of that revolves around the language that we use to talk about our work. Way, way, way too often, we use key words and phrases without testing their inherent assumptions against the realities of the modern world or the beliefs we hold about learning. 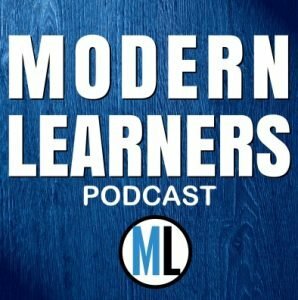 So Bruce and Will are back at it in this episode where the explore the irony of a number of comments made in recent posts online, including this one: “We need to design student-centered learning experiences.” Um, really? 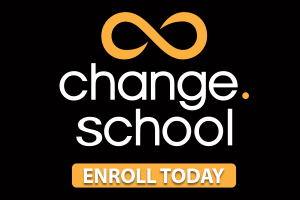 It’s a great example (and there are literally millions of others) of how our language gives us away when we talk about change. At it’s core, most conversations are about how we (the teachers) can make learning happen. The reality is that we can’t. Only learners make learning happen. Have some thoughts about that? Use our SpeakPipe app below and maybe we’ll include your voice in our next podcast coming, with any luck and barring any hurricanes, next week. Your discussion was very interesting. I particularly liked the separation of the why and the what from the how. My particular interest centres on the belief that nearly all our support and scaffolds, including culture and technology, promote control and compliance. Some (most?) teachers have known nothing but a compliance culture so it is pretty hard to imagine them providing an agentic learning environment. Unless they experience some learning agency of their own. I am involved in providing teachers and students with a software tool that supports an agentic learning environment and habit. I’d love to discuss this with you to get your thoughts!